The Global Real Estate unit of Credit Suisse Asset Management has developed a program together with Siemens and Wincasa to reduce the energy consumption and CO2 emissions of its properties. For the approximately 1,000 properties included in the program, an average reduction in CO2 of almost ten percent was achieved compared with 2012, by improving operational efficiency. In order to increase energy efficiency and reduce CO2 emissions, Global Real Estate systematically analyzes and optimizes its property portfolio. To do so, a program was implemented in July 2012 in collaboration with two long-standing partners Siemens Switzerland Ltd. and Wincasa AG. The aim is to reduce energy consumption by ten percent in 1,000 properties from the portfolios of all real estate investment products, and thereby to cut CO2 emissions by 13,000 tons per year. Interim results show that, for the approximately 1,000 properties included in the program, an average CO2 reduction of almost ten percent was achieved. The focus of the program is on energy monitoring and operational optimization. With this in mind, 64 properties with the highest energy consumption were connected to Siemens' Advantage Operation Center (AOC). 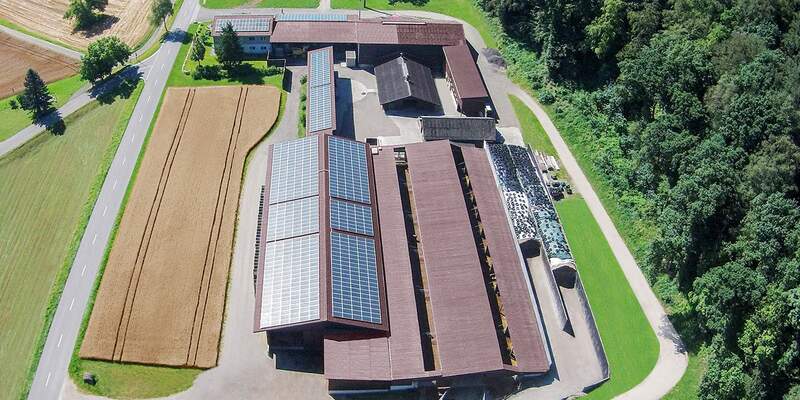 This means that, at any time, the AOC in Steinhausen in the Canton of Zug can monitor the energy consumption of the connected buildings in detail and online. If the energy consumption of the heating, ventilation, and air-conditioning systems deviate from the defined target values, immediate corrections can be made. In addition to the 64 properties that are directly connected to the AOC, the energy efficiency of around 900 other buildings is reviewed annually on the basis of consumption data, and the buildings are entered into Siemens Switzerland Ltd.'s Siemens Navigator platform through energy accounting. To this end, each of the approximately 900 defined buildings is inspected by energy engineers on site every five years as part of operational optimization. First, the heating, ventilation, and air-conditioning systems are examined for faults, and second the engineers check whether their settings could be optimized. Based on the results of the inspection, targeted measures are initiated wherever necessary in order to further increase the energy efficiency of the property concerned. In order to achieve these objectives, the program was divided into two phases. The first of these started in July 2012 and was successfully completed at the end of June 2017. The interim results show that Global Real Estate has already succeeded in significantly reducing the CO2 emissions of its portfolio. Thus, for the approximately 1,000 properties included in the program, an average reduction in CO2 of almost ten percent was achieved compared with 2012, by improving operational efficiency. The International Energy Agency estimates that real estate is responsible for one-third of all CO2 emissions, 40 percent of energy consumption, and 50 percent of all natural resource consumption. In order to look for alternative energy sources at an early stage, the fossil energy sources of the different properties were also recorded in the course of on-site inspections. This data forms the basis for a forward-looking evaluation of alternative, environmentally friendly solutions from the fields of renewable energy, district heating, and CO2-neutral heat production. The Müllers, a farming family from Thayngen, supply a nearby property with district heating using their biogas system. The residential property at Zielhagweg 16–20 in Thayngen in the Canton of Schaffhausen shows what an alternative heating system might look like. Instead of the old oil-fired heating system, a district heating system was installed here that is supplied with woodchip and biogas heating from a nearby farm. Another example of the use of environmentally friendly energy sources is the residential property at Freiburgstrasse 559 in Niederwangen. Here, a photovoltaic system for self-supply was installed on the roof during refurbishment work. Since the system was successfully commissioned, enough energy has been generated to cover more than 50 percent of the total electricity consumption of the 44 tenants. The buildings in Thayngen and Niederwangen are just two of many examples that were successfully implemented in phase one of the project in order to reduce the CO2 emissions of Global Real Estate's portfolio of properties. In addition to replacing fossil energy sources, many smaller measures were introduced that have successfully contributed to increasing energy efficiency. For example, the ventilation system was adjusted at the aquabasilea adventure pool in Pratteln, and heat generation and distribution was optimized at Trischlipark in Rorschach. A total of 2,600 different measures have been implemented and approximately 200 more are currently under way. If there are deviations from defined target values, the operation center takes immediate corrective action. Following successful completion of the first phase of the project, phase two of the program has been running since July 2017. This will continue until the end of 2022. Based on the insights from the first phase and further technical progress, the aim is to increase the number of properties directly connected to Siemens' Advantage Operation Center (AOC). Moreover, further categories are to be introduced for operational optimization. The program is thus making a major contribution to global efforts to combat climate change. Because building and operating properties in a sustainable manner is the basis for significantly reducing CO2 emissions in the real estate sector over the long term. In Conversation with Hansjörg Sidler, Sales Director for Energy Efficiency at Siemens Switzerland Ltd, on collaboration with Global Real Estate. Mr. Sidler, the energy controlling and operational optimization program jointly developed with your company was launched in 2012. Can you tell us a bit about the project’s origins? Hansjörg Sidler: In 2012, Credit Suisse Asset Management’s real estate unit commissioned the World Wildlife Fund to examine the potential for cutting CO2 emissions in its Global Real Estate portfolio. The investigation came to the conclusion that a consistent implementation of technical measures could reduce the portfolio’s aggregate CO2 emissions by 44%. Controlling heating, ventilation and air conditioning systems – HVAC equipment for short – presented the most attractive means of achieving that reduction. The joint project subsequently initiated by Credit Suisse Global Real Estate, Siemens Switzerland and Wincasa started with the 64 buildings in the portfolio that exhibited the greatest energy consumption. They were connected online to the Siemens operation center in Steinhausen, Switzerland, where all key information is gathered. What function does the operation center perform? Networking buildings with the operation center enables their HVAC systems to be monitored and controlled and their heating oil, gas, electricity and water consumption to be displayed online. If measurements deviate from defined target values, the operation center takes immediate corrective action. This way, a high level of comfort in the connected buildings is continually assured while simultaneously optimizing the use of energy and water. How are the energy reports for the roughly 900 other buildings involved in the energy controlling and operational optimization program prepared? The energy consumption data for those properties are collected manually using the internet-based Siemens Navigator. The buildings’ energy efficiency is then examined. The energy consumption and CO2 emissions of all monitored buildings can be called up and analyzed at the touch of a button by all project partners. A benchmarking of all monitored buildings provides a quick overview of their energy efficiency status, which enables resources available for improving sustainability to be employed effectively and efficiently. The degree holder in electrical engineering graduated from the Lucerne University of Applied Sciences and Arts and completed postgraduate studies in engineering and management at a school for specialist training in Zurich. He has many years of experience in the subject areas of energy efficiency and energy management. 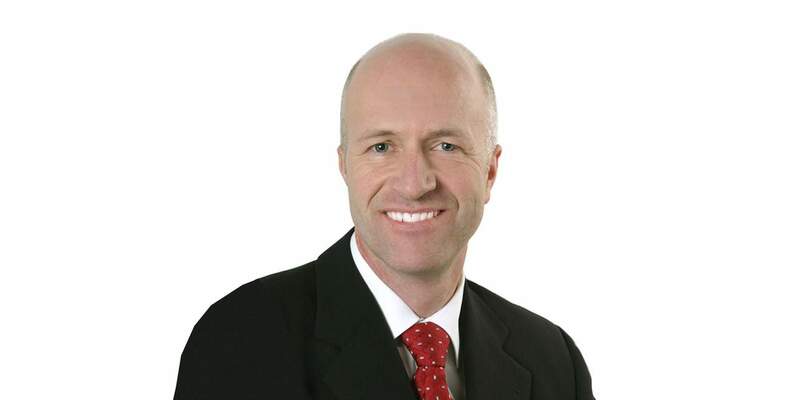 He has been working as the sales director for energy efficiency at Siemens Switzerland Ltd. since 2009. He previously had spent eight years working as a business development manager und building services manager at Siemens Building Technologies in Zug, Switzerland. Is active Increasing energy efficiency. More than 2’600 different measures.